Now in more of London! We are excited to announce that DriveNow is now part of SHARE NOW, which is the car sharing area of the new mobility joint-venture of the BMW Group and Daimler AG. This makes us the globally leading free-floating car sharing provider. Need a car in Westminster? Planning a trip south of the river? Take a DriveNow BMW or MINI. The DriveNow Zone now covers 9 boroughs - Westminster, Tower Hamlets, Southwark, Barnet and Brent have joined our original boroughs of Hackney, Haringey, Islington and Waltham Forest. Find a car in the app, enter your destination and away you go. Drive by the minute, hour or day with parking, fuel and insurance included in the price. London is now at your fingertips. Going out for dinner with friends, heading to a meeting across town, or off on a spontaneous weekend adventure? Our BMW and MINI vehicles are available on demand 24/7 – there’s no need to reserve a car days in advance. Just jump in a car and drive off! At the end of your journey, simply leave the car for free in virtually any public on-street parking bay within the DriveNow Zone. Choose to drive by the minute, or book an hourly or daily package if you need the car for longer. Everything’s included in the rental price - insurance, fuel, parking, road tax, and the rental of a premium BMW or MINI. Plus there are no annual or monthly fees – just pay when you use DriveNow. See all Pricing and Packages. You can also pick up and drop off DriveNow vehicles at London City Airport and Stratford International Car Park! Join DriveNow Car Sharing today and download the app! Escape the city in a MINI Convertible, take an all-electric BMW i3 for journeys into the Congestion Charge Zone, or fit all your shopping bags in a BMW 1 Series. 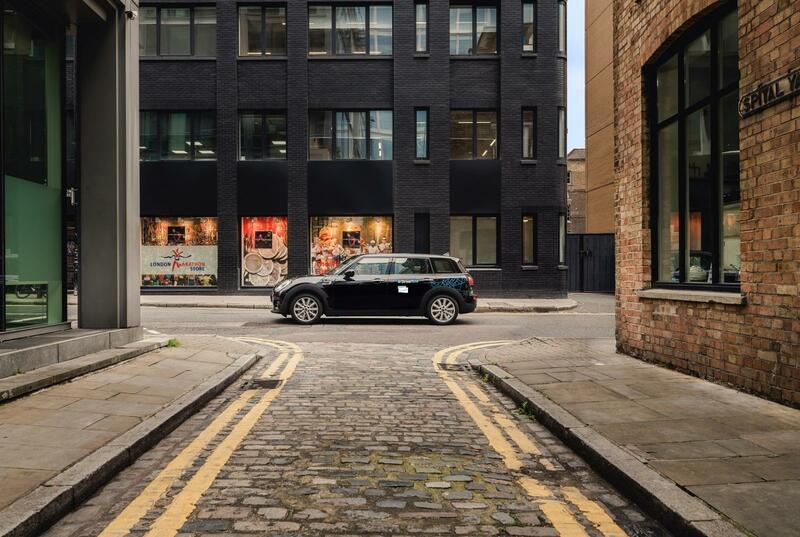 There’s a DriveNow car club vehicle for any occasion and we aim to ensure one of our 700+ cars is never more than 5 minutes away in the DriveNow Zone London – find the nearest car in the app today! See all Pricing and Packages. DriveNow car sharing gives you the flexibility and freedom of a car with no strings attached. Simply register, download the app and off you go! Try out DriveNow today and see for yourself!